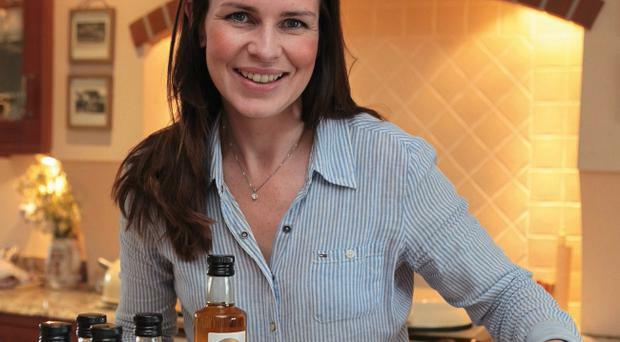 An award-winning rapeseed oil from a farm in Co Londonderry has gone on sale in one of Paris' most elite food stores. Rapeseed from five-time Great Taste gold award-winning Broighter Gold in Limavady is now being sold in La Grande Epicerie, which is part of Le Bon Marché Rive Gauche, the world's first department store. The listing is the result of a year of ambitious lobbying and negotiations by managing director Leone Kane. She runs the farm-diversification initiative with her husband Richard after they set it up in 2011. The couple have gone on to clinch a string of top quality awards, including in the Great Taste competition. Ms Kane said: "I sent samples and followed these up on the phone and was delighted recently to receive an initial order. "The store has a commitment to artisan producers in France and other parts of Europe and I believe my rapeseed oil is the first artisan product from Northern Ireland to be listed by La Grande. "Winning business for Northern Irish rapeseed in a market that's synonymous with olive oil is a real triumph and a great boost for our small business. In addition to being in the store, the rapeseed will be available from the store's ecommerce site." Le Bon Marché was established in 1852 as a single department store to offer customers a wide range of products to view and purchase. The birth of Le Bon Marché heralded a new culture of commerce that included fixed prices, lower margins, home delivery, item exchange, mail order, promotional periods and sales, private concerts, a reading area and much more. It opened a food counter in 1923, offering the finest teas and preserve – a first for a department store. La Grande Epicerie de Paris was then established in 1978 as a supermarket for food aficionados on the Rive Gauche on the southern bank of the Seine.